This guest post was written by Robert Wringham, the editor of New Escapologist magazine. New Escapologist is a magazine for white-collar functionaries with escape on the brain. The last time I wrote a guest post for ERE was to tell the story of my escape from employment through the various frugal and entrepreneurial habits I had fostered. What I didn’t explain were the nuts and bolts of my short-term plan: the set of actions that gave me the ‘push’ I needed to leave my boring office-based career behind. What I did differs from Jacob’s early retirement plan, though you will see that it does share some common ground. My priority was not to ‘retire’ per se but to escape the boring career I’d embarked upon as the result of naive compliance to suggestions from well-meaning parents, teachers and career advisors. For this reason, while I worked on some of the long-term strategies written about by Jacob (frugality, educational imperatives, minimalism, investment) I also needed a short-term plan to push me over the edge and take the plunge. 1. I made sure I earned more than £355 ($561) per week. This is the average weekly income in my country of origin. If I was going to sell a portion of my youth for money, I wanted to ensure it was at the going rate. To earn less, in my opinion, would have been to unforgivably squander my very life. 2. I saved money. With an escape in mind, I saved like I’d never saved before. This was akin to Jacob’s policy of extreme saving for later investment, though my aim of saving money was to facilitate my escape. I saved about £15,000 through my day job, an extra evening job and small entrepraneurial projects. This became my ‘escape fund’. 3. I used my job like a career gym. This was mainly an exercise in confidence building. I wanted to develop as many skills as possible in case things didn’t work out. It was a kind of insurance policy so that I could come back to similar work if my escape plan fell through. I would volunteer for extra jobs if they were interesting; I’d collect insights from colleagues and bosses and cleaners alike; I’d go on corporate training courses when they were offered. As most people are aware, much of a worker’s time in an office is spent gawping out of the window or playing the terrible computer games that come with Microsoft Windows. I just used this time more productively. 4. I culled my expenses. I cancelled my cell phone and overcame my dependencies on nicotine, caffeine and convenience foods. I’ve never driven a car but I still resolved to walk instead of taking public transport or taxis whenever possible. Every penny saved would go right into my escape fund and toward a better life. 6. I put my minimal amount of stuff into storage and gave my apartment keys back to my landlord. 7. I flew to Montreal. Compared to the UK, Montreal is vibrant and cheap. I enjoyed a long, two-month vacation here with no real home or job to worry about. I rented a cheap apartment, walked all over the city, read library books in the sunshine and talked to people. It was towards the end of this idle period that creative ideas started coming thick and fast. 8. I put together a cottage industry. Based upon the creative ideas that I’d always struggled to come up with while at work, I hammered and nailed together my own plan for a cottage industry. This is what happens when you don’t work: you have the time and the energy to get things together, to stop acting pragmatically and to address the money problem once and for all. Cottage industry is not early retirement but it’s arguably the next best thing. Even in early retirement, I doubt many people would give up on making money all together. Generating an income is gratifying and fun. As long as your cottage industry allows you to enjoy what you want to do—something I truly discovered during my slack period between employment and taking up new action—there’s no reason to go back to conventional employment ever again. After this, I was free. All I had needed was the confidence to go ahead with my fool-hardy scheme and a period of proper R&R to get the creative ideas flowing. Above all, I sought to remember the oppressive details of the working life from which I’d escaped. No looking back! 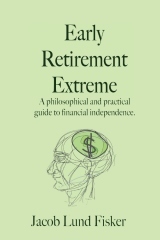 previous post: How is saving for extreme early retirement like learning to swim? 14 users responded in " The Push "
great story. what was/is your cottage industry? @jc My cottage industry is creative writing. I produce a magazine (New Escapologist) but also write for other publications. I also do performance in the form of stand-up comedy but haven’t done any in quite a while. Did you have an inkling of your future as a for-profit writer and publisher whilst mired in your job, or did it only occur once you were free to ruminate at liesure? I ask because I seem blocked by the unrelenting awfullness of my current job from conceiving a concrete plan for self-employment. I have been tempted to take a sabbatical with the thought that clarity might arise from within the vaccuum of unemployment, but I rationalize this thought away as wishful thinking. It seems to me that perhaps the only antidote to the paralyzing fear of uncertainty is to act in spite of it rather than try to think it away. Anyways, I love your blog man. Great post. You had a well thought out plan and executed it. I find that having a goal to work towards allows you to channel all the negative you have toward your job more productively. Even if you aren’t quite sure what it is you want to do movement in any direction positively is worthwhile. Good guest post, Robert. I like #3, if you’re stuck in a boring job, at least get SOMETHING out of it. Sometimes determining what that something is itself is a form of creative thinking. Thank you for the post. Very direct and systematic in the writing. #7 is one of the hardest ones for me. I like goals, activities, and doing. Even when health dictates, it is mentally hard for me to “stay down” and not try to be busy. I guess I have seen so many that spend their days and life watching t.v. and wasting it away that it generates a fear that I will fall into a trap of complacency and miss all the things life has to offer. Thanks for the reminder that it’s okay and even beneficial. @Carol@inthetrenches I actually wrote a post this week about how it’s hard not to stay busy sometimes. See if it’s useful to you at all. @gibberade Meet you for a beer whenever you like, dude. Very inspiring I must say. I will agree with your comments on taking time off to free up your mind. Having a job takes so much of my time inside and outside of work. When I get home, I am mentally tired and my creative juices go away. Thank you I really needed to read this! But after reading your post I realize that as bad as the setbacks sound I still have enough in savings to keep following my dream while I build up some flexible side gigs and passive income. Right now, I’m doing some online teaching/tutoring that pays for most of my expenses but I need to escape the poverty mindset that I’ve let myself fall into from not having a the security of a corporate income anymore. Rob, the phrase you use, “put together a cottage industry” is great. I’m working through my “idle” period right now after recently quitting my job as a corporate attorney. Any tips for getting the most out of this time? Amen to #1 & #3! If you gotta work make the most you can and make yourself useful.